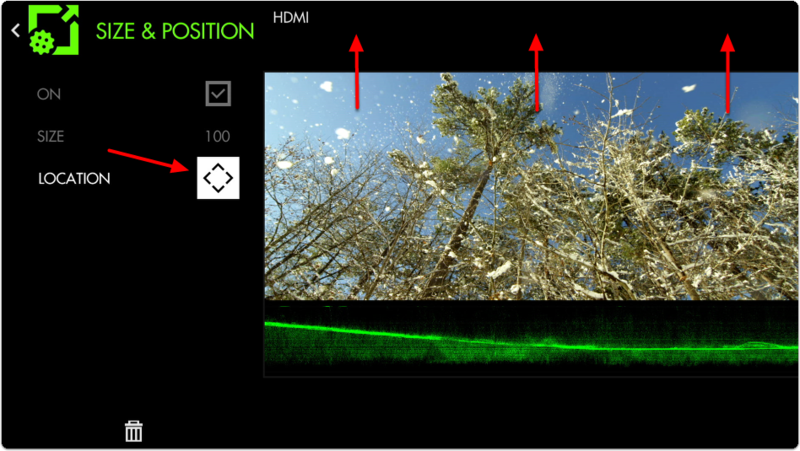 If you plan to crop your image, for example shooting interviews in 4K and zooming in post for the 'close up' or for cameras that don't send a fullscreen feed to the monitor, this tool lets you pre-visualize a custom crop and will automatically scale up the remaining portion to fill the page. 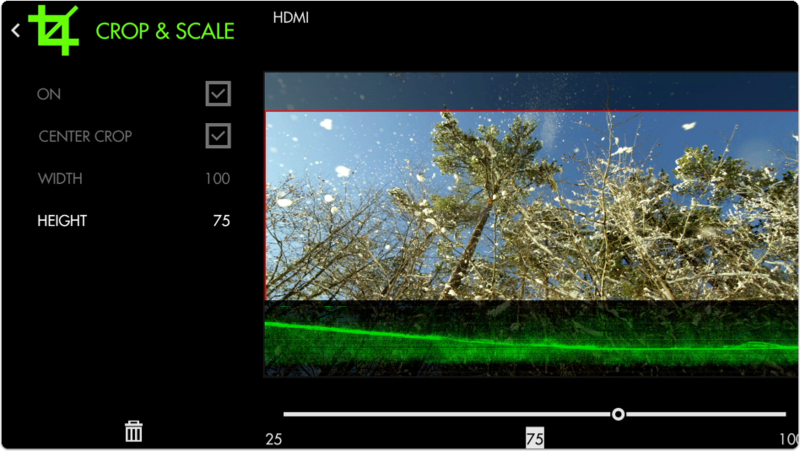 In this section we will make highly efficient use of screen space by employing Crop & Scale to preview a 2.39 cinemascope aspect ratio and a full-width Waveform with no overlapping elements or wasted space. From any page with a feed, click the joystick or tap the screen to bring up ‘Add New Tool’. 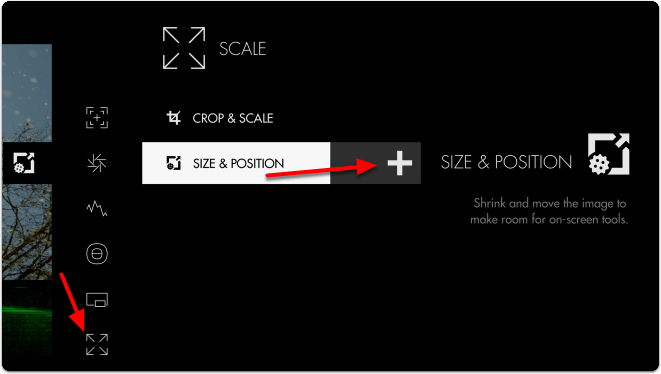 Navigate to Scale > Crop & Scale and select the '+' to add it to the current page. 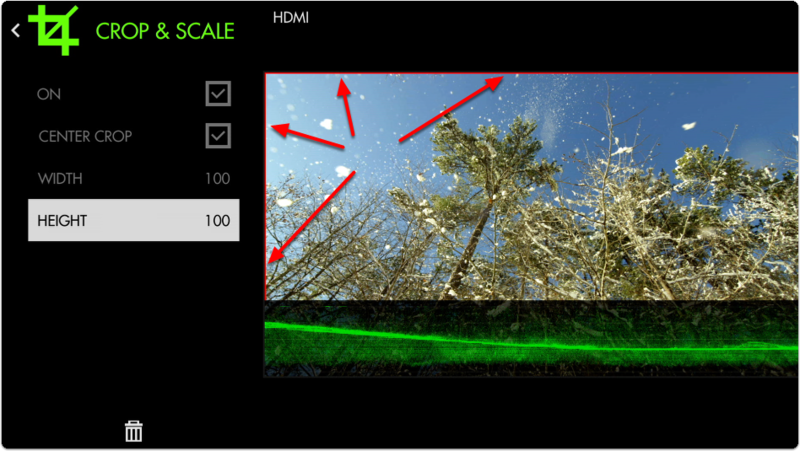 Once added you can edit the settings by navigating right or tapping the right arrow when ‘Crop & Scale’ is highlighted. 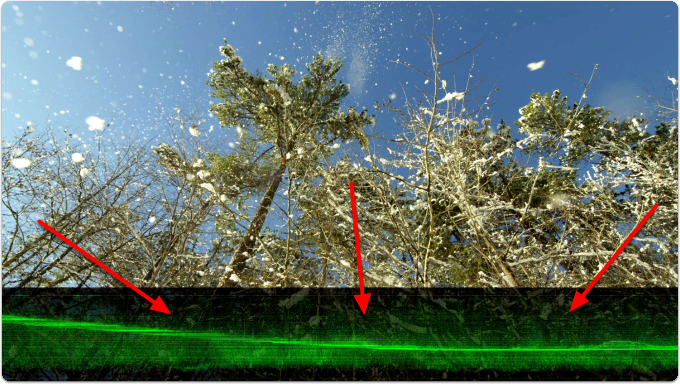 Take note of the red border - anything outside this area gets cropped when exiting the tool. Decrease the HEIGHT to 75% which simulates the same cropped area as a 2.39:1 aspect ratio. Press the Back button or tap the top-left arrow to back out of the edit menu. Now our image is being cropped to the setting we chose. We just need to shift it upwards with Size & Position so it no longer overlaps with the Waveform. Add Size & Position via Add New Tool > Scale > Size & Position. Once added, open the edit menu by tapping or pressing right on the Size & Position tool. Select LOCATION and then tap towards the top of the image or press up on the joystick. 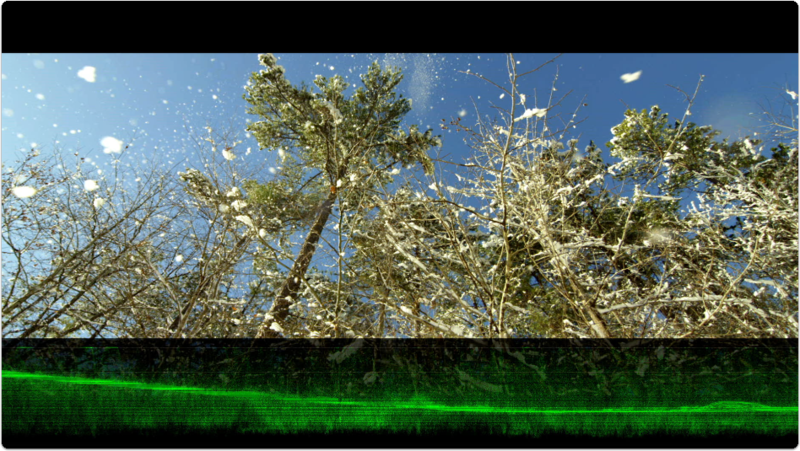 Back out of the edit menu for a full-screen view of a 2.39 cinemascope aspect ratio accompanied by a full-width Waveform! 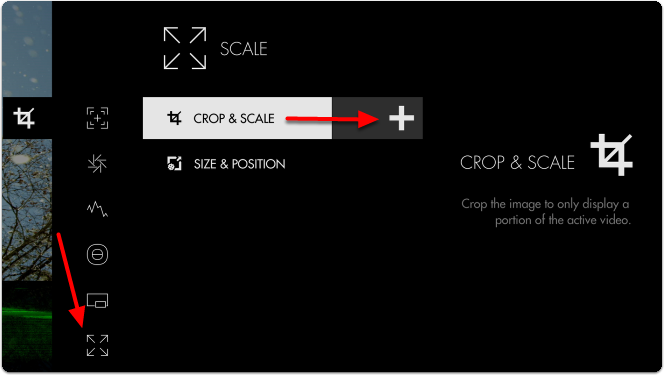 Access Crop & Scale tool settings menu by navigating right or pressing the right arrow when Crop & Scale is highlighted in the tool list. Toggles Crop & Scale Off/On. If you wish to crop your image symmetrically, select this option. When ‘Center Crop’ is selected, this will adjust the width of the cropped area symmetrically. When ‘Center Crop’ is selected, this will adjust the height of the cropped area from the center of the image. 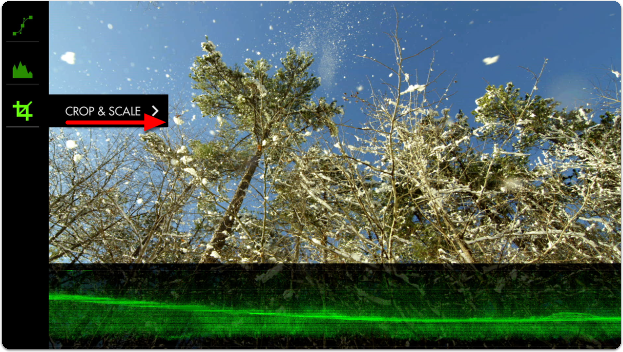 When ‘Center Crop’ is unselected, this will adjust the amount of cropping being applied to the left-hand side of the image. When ‘Center Crop’ is unselected, this will adjust the amount of cropping being applied to the right-hand side of the image. When ‘Center Crop’ is unselected, this will adjust the amount of cropping being applied to the top of the image. When ‘Center Crop’ is unselected, this will adjust the amount of cropping being applied to the bottom of the image.